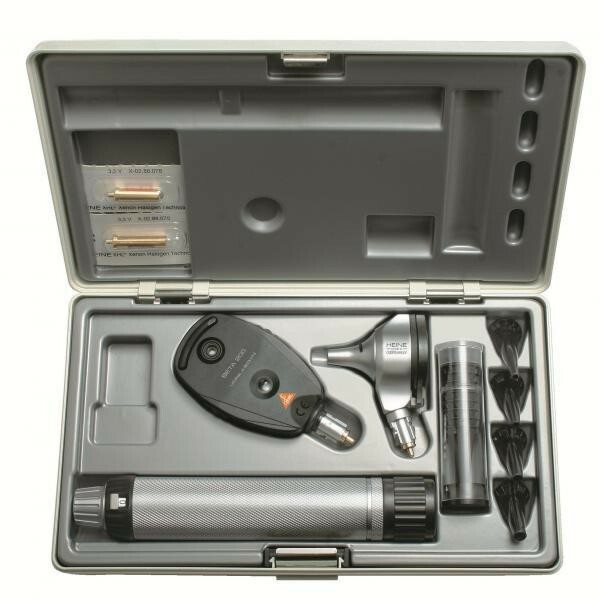 The BETA 200 Otoscope Opthalmoscope Set of Heine is a quality instrument set for the physician’s office. The BETA 200 Otoscope Fiber Optic of Heine is a quality instrument for the physician’s office with Fiber Optic illumination. 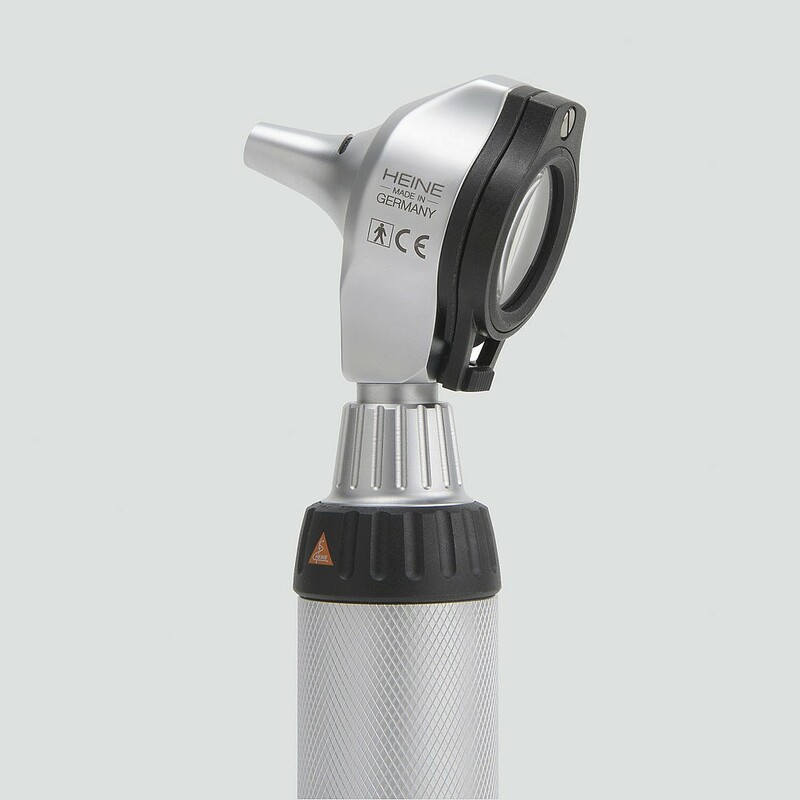 The all-metal housing matt-chrome-plated makes this Otoscope durable, long-lasting and easy to clean. 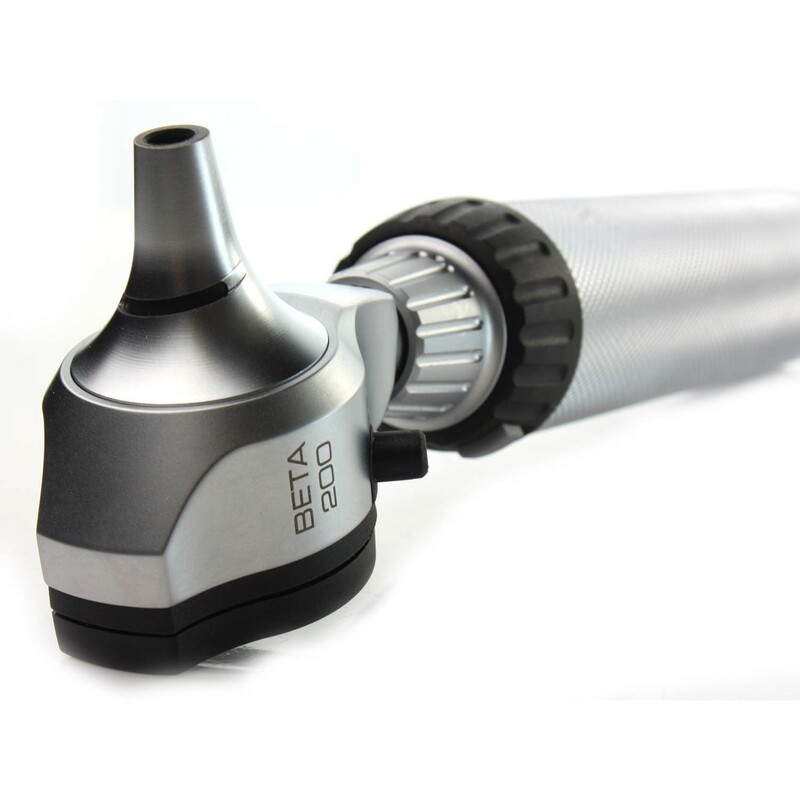 The BETA 200 Fiber Optic Otoscope of Heine use the Distal Fiber Optic (F.O.) illumination with XHL Xenon Alogen Technology bringing a reflex-free and homogenous ilumination and a distortion-free image.The window mad of milti-coated optical glass offers you a 3x magnification with a perfect unobstructed edge-to-edge view.